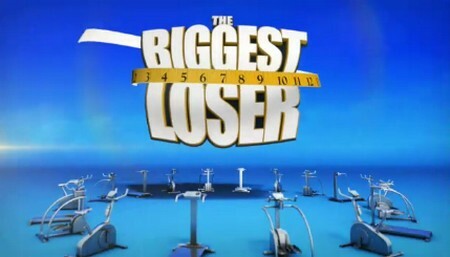 The Biggest Loser is back tonight with its 10th episode of the 13th season. Stand by as we cover the show live with all the details for you. On last week’s episode Chism Cornelison, 19, faltered at the weigh-in and was sent home. If you missed the show you can read our official recap here! Chism said about being voted out: “I was devastated knowing that my journey there was done. Knowing I would have to [finish my weight-loss] at home where I had just seen that I didn’t do that well.” Chism’s father offered to go home in his place but Chism refused he said: “I can’t have my dad fight all my battles for me. I think [being eliminated] was a huge turning point for me. I can go out and do this on my own and I have the confidence enough to say, ‘I can take on the world.’ “ He sees like a really nice kid and we hope he does well at home! On this week’s episode, the age-old excuse “I’m stuck in my comfort zone” is addressed as contestants are pushed out of their comfort zones by switching trainers for the week. The red team works out with trainer Bob Harper, while the black team burns calories with trainer Dolvett Quince. The Biggest Loser airs at 8PM and we will be live blogging it with all the up-to-the-minute details, weigh-ins and elimination. So make sure to come back to this spot and spend the evening with us! While you wait for the recap, check out a sneak peek video of tonight’s show HERE! Tonight’s Episode: Marc meets with the team and lets then know he will get through losing Chism. Marc is optimistic about what is ahead and he is going to make Chism proud. The next day Alison comes to see the contestants and lets them know that the teams are dead even. She tells them things are about to get very uncomfortable because this week they are changing trainers. The red team will be training with Bob and the black team will be training with Dolvett. That is not the only thing they are switching up there is another twist. The team that wins the weigh-in will be the only people who decide who goes home. The red and black team have to let Dolvett and Bob know what is happening. The red team goes to Bob and tells him he is their trainer for the week. Bob is excited to get his hands on the red team. This is the first time this has happened on the Biggest Loser. The Black team comes to see Bob and they are upset – Jeremy does not get it and hopes that the black team will just get over it. Conda is the only person on the black team who is not upset to train with Dolvett for the week. The black team goes and lets Dolvett in on what is happening. Dolvett thinks the black team looks like his world has ended. Chris says the black team is pretty much scared out of their minds. The black team is pretty much freaking out, Chris is feeling anxiety and they are all having problems and Dolvett thinks they have to get together. Bob is really working the red team out and the red team unlike the black team is not complaining they are giving their all. Back over at the black team Cassandra is complaining she is in a grumpy mood and she is having trouble keeping up. She just wants to be with Bob. I cannot believe the women of the black team I have never seen such whiny women. Emily is freaking and Dolvett has to take her aside to speak to her. Then he has to coddle her and basically beg her to get her back on the treadmill. Wait a second didn’t this women use to be a athlete??? If she says she is working out of her comfort zone one more time I am going to slap her through the TV. Dolvett says it is not about the color you are wearing it is about the weight loss. Bob talks with Buddy and they talk of his daughter that died. She was in really bad shape and the doctors wanted them to terminate the pregnancy. He couldn’t do that. He says the days she was born, was great. She had 10 surgeries in 6 months. He talks of how he watched his little daughter take her last breath. They both break down in tears. The black team ladies are all in ballet tights in a ballet studio and so is Dolvett – they are going to be taught ballet positions. I have to admit the ladies looked funny hopping up and down. Finally after the ballet class the black team ladies start to look happier and Dolvett feels he has been successful. Cassandra and Emily talk strategy – Cassandra realizes you not only have to work hard you have to build alliances. Emily is frightened and she talks to Cassandra about how they have to knock 4 people out. Emily wants to cut Buddy out. Cassandra now feels The Biggest Loser is a game and they need really strategy. The teams gather for the next challenge – Alison asks them if they are ready to get down and dirty. Inside the pit of mud are weights of different sizes – one at a time they will dig in the mud for weigh and the first team who brings back 40 weights wins the challenge. The team who wins gets a 2lb advantage. The black team ladies already start complaining about having to dive in the mud. Emily once again says: ‘It is out of my comfort zone.’ Someone smack her now! The teams are neck and neck in the race it is going to come down to the last 2 weights. Marc grabs the last weight out of the mud and it is a victory for the red team. The red team has won a 2lb advantage. Emily and Cassandra approach Conda and tell her they want a 4 girl alliance. Of course Conda heads over to the men’s team and blabs. Conda is loyal to her brother, Marc and Buddy and has no intention of participating in a women’s alliance. Buddy heads over to Marc and Jeremy and lets them know that Kim, Cassandra and Kim approached Conda for an alliance. Jeremy does not get why they would tell her anything. After all Conda is Jeremy’s sister. Last Chance Workout – Dolvett wants to take them on a hike to start warming up. Dolvett is going to work the black team harder than they have ever been worked before. Bob is putting the red team through the ringer too. Cassandra is sending Bob vibes not to work the red team too hard because she does not want him to help them too much. Cassandra thinks if anyone on the black team should go home it is Chris. As Alison announces that the Black Team has to lose 19 lbs to win – Emily pipes up and says she does not think they are going to get the 19lbs. The other members of the black team are shocked and so is Dolvett. The Red Team has won the weight-in this week and they will have to vote for who to send home. The person who has immunity on the Black Team this week is Emily. The contestants will not go back to their original trainers. Jeremy feels it has been a weird week there has been a lot of game play going on. Cassandra makes the first plea for why she wants to stay and needs to stay. Then Chris starts to make her plea as to why they should keep her. Megan feels like her time here has been the biggest blessing she has had and she feels if she goes home she may fail. Emily tells the red team not to use just their head but their heart. Emily asks the red team to keep Cassandra and Kim makes a plea for everyone to keep Cassandra. Condo is not buying it – she does not believe that is the reason Emily wants to keep Cassandra on the farm. Cassandra is voted out and she is not the Biggest Loser. Cassandra is sobbing and she is afraid to do this at home and is afraid to become that girl again and gain it all back.